Same style, Wing Chun, but a totally different Butterfly Knives form. 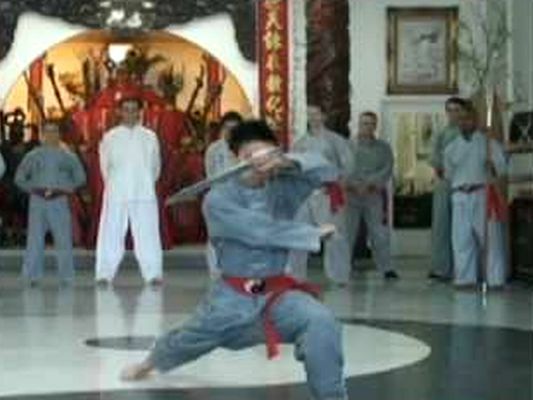 This form looks more like how other styles do it including Hung Gar and Choy Lee Fut with its large expansive moves. Admittedly, this is the Vietnam Wing Chun branch which is radically different from its China cousins, but nonetheless, it's still Wing Chun. See how other schools and styles do the form quite differently from Ip Chun.